The main reason why owners feed a Pomeranian a raw diet is to replace highly processed canned foods and kibble with healthier, homemade, all-natural foods. Use a variety of meat, uncooked bones, a small amount of organs and small quantities of vegetables and fruits because this diet is the best food for Pomeranians. A raw food diet is healthier Pomeranian food than a kibble diet. 3 How Much to Feed a Pomeranian? 4.1 Raw is…uncooked fresh meat. 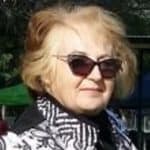 Making changes in your Pomeranian’s diet, especially if you’re introducing raw foods, is often an issue due to the onset of gastrointestinal problems. If you change the diet too fast, it may also cause diarrhoea. The way a dog’s body processes kibble is vastly different from raw foods. Kibble is recognised as a starch by your dog’s metabolism. On the other hand, raw food is treated as if it’s a protein and is kept in the stomach for an acid bath. If you combine dry foods with raw foods, your dog’s digestive system can become confused and he may become gassy and belch a lot. 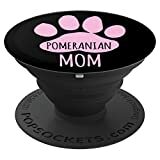 If your Pom has a healthy gut and you want to try out new food of any kind, it’s ideal to trial it for a day as a “treat” and watch his stool for any changes over the ensuing days. Slowly after the initial first day (if there are no visible changes), increase the “new treats” and keep an eye on his stool. After a couple of days without problems, replace one of his meals with the new food. Continue this for another couple of days and then (as long as there are no side effects) you can safely use only new foods. If your Pomeranian has only ever eaten one type of kibble in his life, you may have to take weeks or perhaps months to change his diet so patience is required. In the initial stages of feeding your Pom raw food, you need to vary his diet to ensure he’s getting a healthy balance of vital nutrients. Calcium and fat levels are critical to monitor. Any imbalances may cause health problems. Other issues may occur if the food you use contains bacteria such as Listeria monocytogenes or Salmonella. Raw foods have a greater chance of containing bacteria than processed foods and kibble. The good news is that your dog’s digestive system can handle bacteria better than humans as their system isn’t as acidic or as long as the human digestive processes. Keep in mind that your vet may try to send you home with the brand of dog food he’s currently selling. So don’t blindly take his advice. Do your own research and ask questions and get his help to find the ideal balance and see whether it does match his ideas or not. The majority of vets won’t suggest a raw food diet for puppies because the correct balance of phosphorus and calcium is hard to achieve. 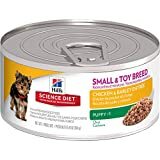 It may cause deformities and, if your dog has cancer, he certainly shouldn’t be on such a diet. Puppies must be fed the correct ratio of Calcium and phosphorus for puppies. 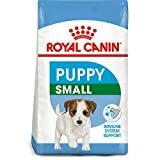 The correct ratio for Pomeranians under 12 months of age is 1.4 parts calcium for each 1 part phosphorus (1.4:1) (see our article on CompletePomeranian Puppy Care) For this reason I recommend feeding Pom pups a commercial diet until 12 months of age. 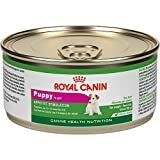 The best Pomeranian puppy food is a quality tinned puppy food for small dog breeds, together with a similar kibble. Calcium and phosphorus should be maintained at a ratio of 1.2:1 for adult Pomeranians. Tripe is a great food for both minerals. Bones are low in phosphorus while meat is high in it. This doesn’t automatically mean you need to give him 50% bones in his diet. It means you need to feed him the same amount of both minerals. How Much to Feed a Pomeranian? Most adult Poms should eat approx 2 – 4% of their body weight each day. That’s the correct amount for Pomeranians. Other dogs may have different percentages. Pom puppies may need up to 10% of their body weight each day while they’re growing. The recommendation is amount of food is calculate on the weight, age and activity levels of the dog. 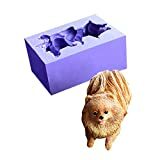 This means as an example a Pomeranian weighing 3kg, has his weight multiplied by 30 calories = 90 calories plus 70-100 calories depending on how active the dog is. Minimum for any Pomeranian is 160 per day. Extra calories are required by active Pomeranians who do lots of exercise and growing Pomeranian puppies. 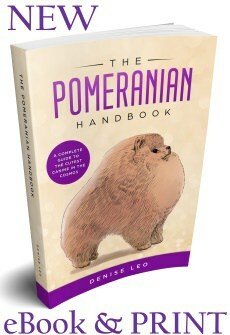 All Pomeranians are individuals and if your unsure on the amount of food to fed. 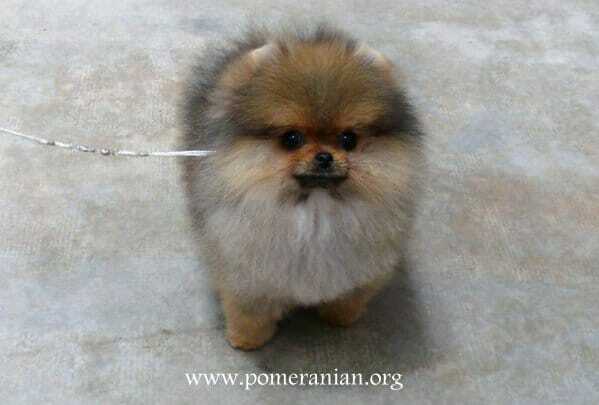 Or would like assistance on what the correct weight your Pom should be check with your Vet or your breeder. Dogs are carnivorous. Raw feeding is feeding fresh wholesome food, not food out of a packet, and lots of raw meat. Turkey, chicken, duck, lamb, beef, rabbit, venison or offal (but sparingly for the offal). You can feed your Pomeranian Dog organ meats but they should only comprise 10% of his diet. They’re ok for one or two meals per week or as an addition to meals with other foods. Dogs love liver but too much in the diet can result in runny stools. Carrots, cauliflower, green beans, okra, peas, pumpkin, squash, celery, sweet potato and parsley. You could also add a little fruit like apple, banana, pear, strawberries or blueberries. Tinned fish, cheese, yoghurt, whole grain and pasta. It’s advised that you use raw meaty bones and meat that’s human-grade. Certain pet bone products, meat rolls, meat and mince may contain harmful preservatives. (e.g. sulphite preservative which can cause a deficiency of thiamine, a condition that can be fatal.) Sausage meats, sausages and manufactured cooked meats can also have sulphite preservatives as well. Chicken feet and tripe may sound foul to you but your pet likes any meat, regardless of what it is. It’s cheaper to buy these types as well. Add these to the shopping list : testicles, tails and beef trachea and beef feet which they also love. You should feed your dog muscle meats to make up 75% of his diet. You can get such meats from most animals including: cows, chickens, duck, deer, rabbit, turkey, lamb, beef and goat. Mince steak with either home cooked, pureed veggies. e.g. potato, pumpkin, carrot, cauliflower, beans, broccoli or, if in a hurry, tinned pureed baby food veggies. Give him bones to chew on. That helps increase his calcium intake as well as keeping him occupied for a while. Large meaty beef bones from your butcher are a great choice. Whole chicken frames are another great tasty treat, but should be fed under supervision. Under no circumstances should chicken wings, necks, tips or legs be fed in any shape or form; too many Pomeranian have lost their lives choking on these items. I feed minced chicken frames (i.e. the mince contains finely ground bones as a source of calcium) to lactating Mums and their pups. Raw bones can be placed in the freezer for a few minutes prior to feeding to your Pomeranian. Don’t ever feed your dog cooked bones because these can cause serious harm if they splinter and get swallowed. They can block your dog’s insides or cause cuts and abrasions as they go down. The other aspect of your Pom’s diet should be foods such as grains, fruit and vegetables. Vegetables can be prepared in advance and stored in meal-sized portions in your freezer to be used as required. Always process vegetables before adding them to your dog’s food because it helps extract the most nutrients. Steam for a few minutes and puree them. The ideal choice are dark, leafy greens. Never wash meat. While the temptation may be there, it just spreads around the existing bacteria. It can be splashed on surfaces around the sink, and that’s a potential for more problems. Always cook grains prior to feeding them to your dog. Green Beans: Overweight Poms will benefit from having the green vegetable percentage of their diet increased. Pureed cooked green beans are an ideal diet if they are carrying extra weight. Pumpkin: is a great vegetable to help regulate your dog’s system. Wholegrains are best: Grains, however, are completely unnecessary since commercial pet foods are always grain-based diets. Many people are used to the idea that their dogs need grains but it’s just not true. Some of the positive effects of feeding raw foods are related to eliminating grains from your dog’s diet. Apple Cider Vinegar: Add half a teaspoon of vinegar to meals each day. Fish Oil or Flax Seed Oil: to give him sufficient omega-3 fatty acids. Better still, add a tablespoon of tinned salmon 3 or 4 times a week to his diet and you’ll soon notice the startling improvements to your beloved pet’s overall health and well-being. Never feed uncooked fish to your Pom. Coconut Oil: can be added daily. Add a teaspoon mixed into the food. Calcium: in the diet can be increased with the addition of a little plain yoghurt, cottage cheese, or dried, ground eggshells. Use ½ a teaspoon per pound of meat in your dog’s meal. Eggs: Avoid feeding him raw egg whites because they have enzyme inhibitors that may cause digestive issues, particularly in young puppies and senior dogs. Boiled eggs, including the egg shell chopped and added to a Pomeranian’s food is a nutritious meal. Alternatively egg yolks may be fed raw to Pomeranians. All utensils used on your dog’s raw food must be kept completely separate from all other utensils. Use hot soapy water when cleaning them properly or place them in your dishwasher. Disinfect all surfaces that the food may have touched. NEVER, EVER feed your dog anything on this list of toxic substances. This isn’t a complete list so always be careful. chocolate, garlic, onion powder, onions, avocado and stones, caffeine products such as coffee, sultanas, raisins (including cakes with them as an ingredient), grapes, currants, all nuts (including fruit stones), compost, spilt or mouldy foods, bread and yeast dough, mushrooms, toothpaste, baking goods, lollies, apricot stones, mango seeds, corn cobs, fruit seeds, green unripe tomatoes, too much fish, cooked bones, tiny bits of raw bones, salt, fatty foods and trimmings, Xylitol (a sugar in certain products including some sugar-free gums). Avoid letting your Pomeranian dog have the string wrapped around meat, or absorbent pads often under meats that are wrapped on trays. After touching all types of dog foods, particularly raw foods, you MUST thoroughly wash your hands in warm soapy water for a minimum of 20 seconds. Clean underneath your nails as well.